Our mission is to invest in a friendly and challenging workplace where our people can thrive and deliver measurable value to UK automotive retailers through superior software solutions and exceptional product support. More than anything else our people make our products shine. Having been with BMW UK for 9 years, in Aftersales and Sales Regional Management positions, and as Dealer Principal with Sytner at its Warwick site from 1997-2001, Barry knows exactly the pressures and difficulties faced by managers in the retail sector. This inspired him to pursue the need for strategic product solutions to help car and bike retailers improve process, performance and profitability using smart technology. When he’s not moving the business forward – from business development to introducing local charity support to ensuring customers get the maximum return on their investment – Barry can be found on the tennis court, on his bike, swimming in the lake at Ragley Hall, or in the stands at Wembley watching Spurs win at last, or cheering on local ice hockey team, Coventry Blaze. Peter is the Director of Development and lives across the pond in the USA. He has been developing software for over 35 years, working for large companies like Canon and Citicorp, smaller companies that contracted with Apple and Microsoft amongst others, plus startups writing Windows and Macintosh applications. Combining Peter’s technical prowess along with the latest web technologies and Barry’s business insights has proved to be the key to Cooper Solutions’ success. Peter is a big fan of travelling, and enjoys tennis, running cycling, paddle-boarding and watching LA Galaxy football. Dean is responsible for our FullCover and FullCompliance products. 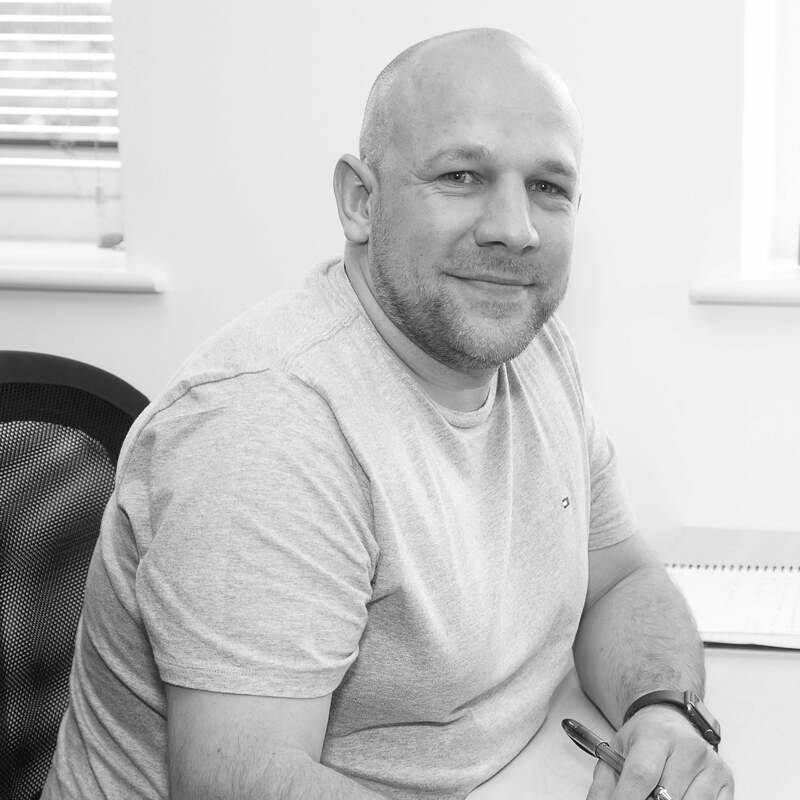 Here since the beginning, Dean has been the driving force behind the success of FullCover, with consistent year on year increases in the number of days retailers have taken advantage of our daily rate insurance for customer loans. His mission is to enhance the experience our retailer clients offer their customers, whether the customer is looking to buy, or returning for aftersales support. Having worked for BMW, Dean is fully aware of the pressures retailers face. Finely tuning FullCompliance, Dean oversaw the development of software that combats the threat of six-figure fines faced by dealerships failing to comply with BIK tax guidelines and vehicle banding for employees. Away from the office, his excellent negotiation skills are tested by his two young daughters. 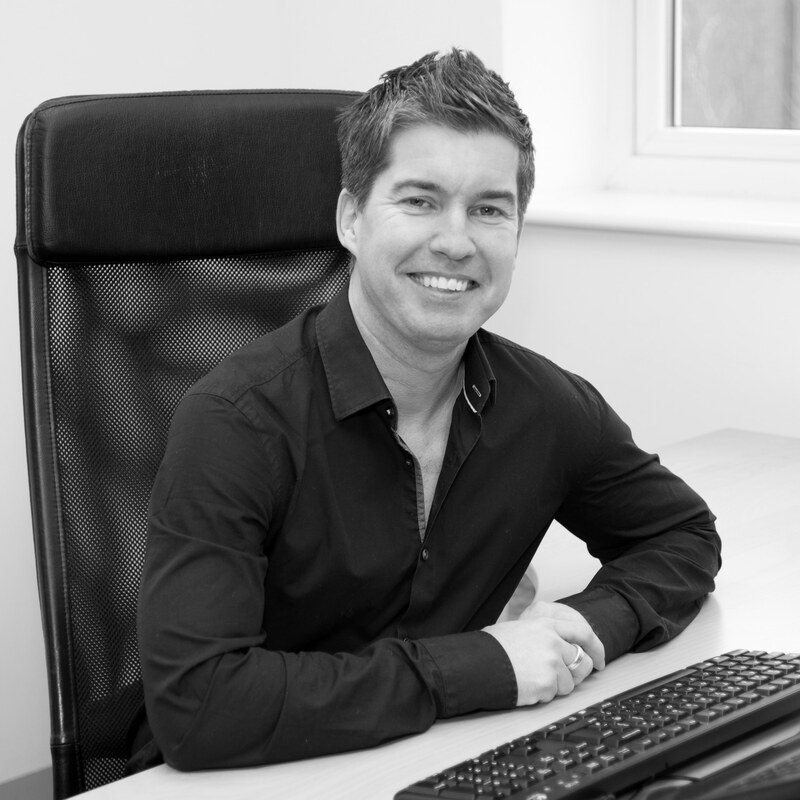 Before joining Cooper Solutions, Andy spent 11 years honing his IT skills with Snows Motor Group. With his analytical mind, Andy is responsible for development of our core products at all stages of a systems development lifecycle. With responsibility for FullForecast and FullControl, Andy knows how accurate and real-time reporting can enable dealers to make proactive decisions, increase revenue and retain control over their businesses. In fact, customers tell us that they can’t live without these solutions. When he’s not working with our customers and supporting their optimisation of our products, he’s happiest with his family. 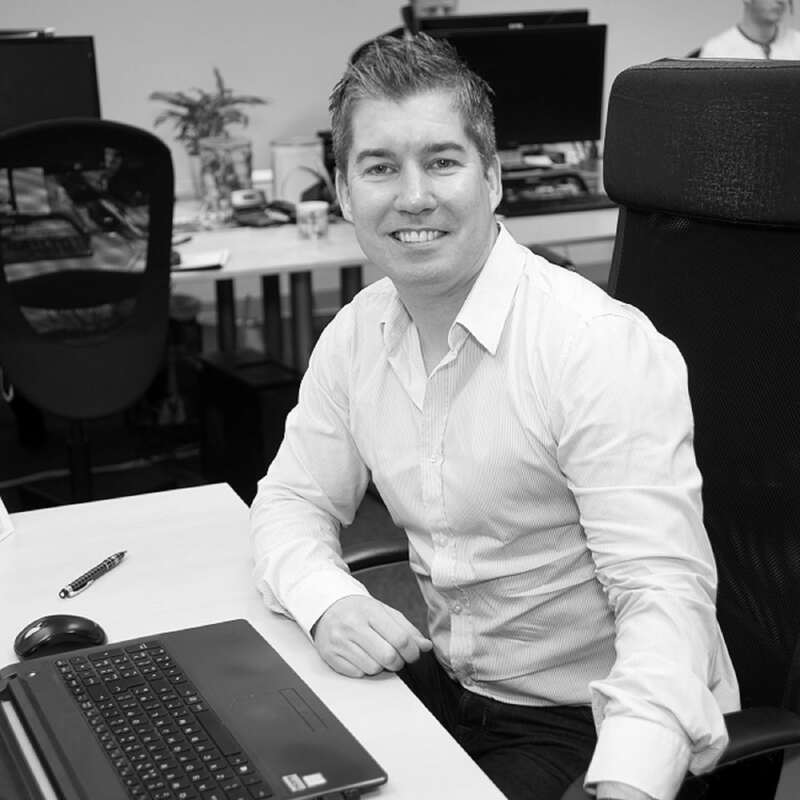 With 15 years’ experience in the automotive industry, Simon has a great insight into dealership processes, and how our products can maximise revenue and performance. 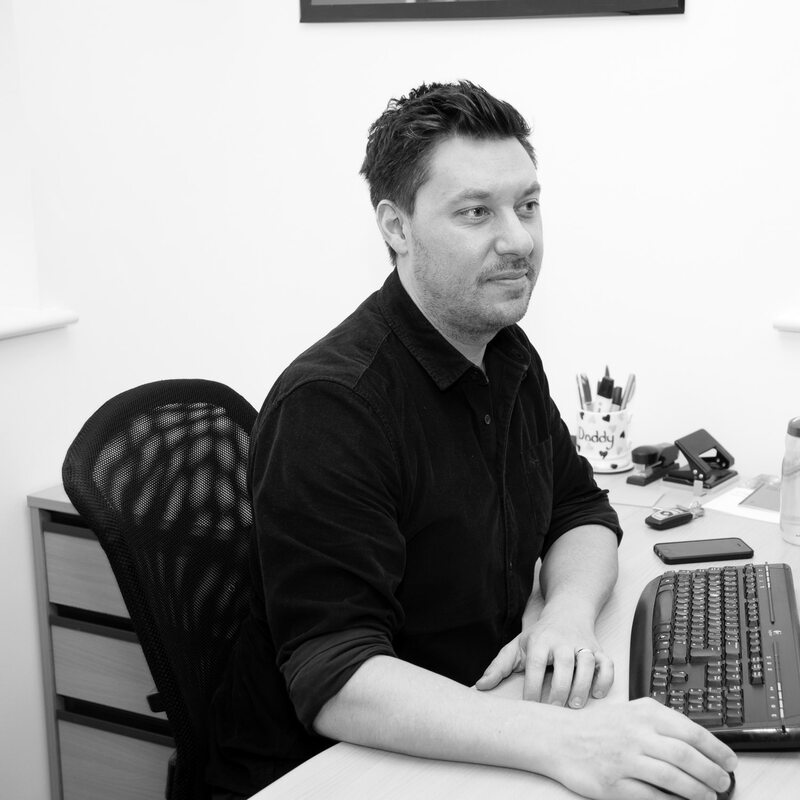 Responsible for FullAuction, our online remarketing platform, Simon leads his team in winning new business. He oversaw the launch of FullAppraisal which, together with FullAuction, provides a streamlined complete end-to-end trade management solution whilst providing the modern retail experience dealership customers expect. When not exploring new markets and opportunities, Simon loves spending time with his two boys, Harry and Oliver. Since joining the company, James has made a significant contribution in continuing the vision of the business whilst seeking continuous improvement in our systems, process and strategy implementation. 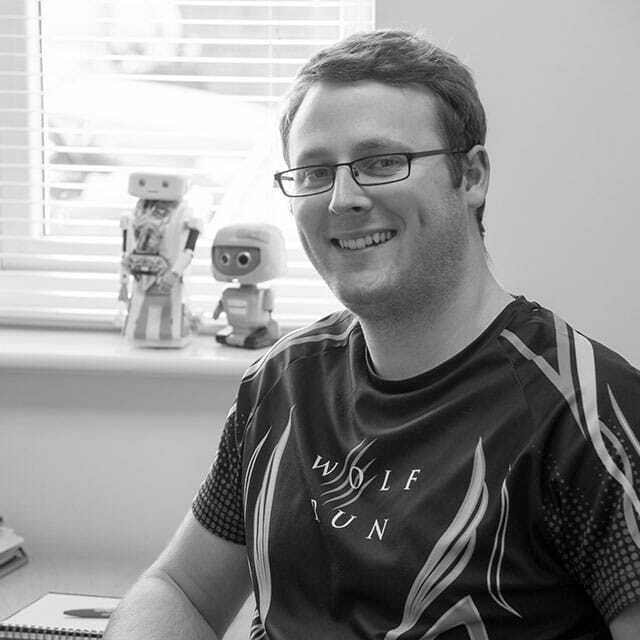 A qualified Microsoft certified professional, James is data driven and combined with creative thinking, as Product Manager, he draws on his experience to ensure the success of every project. Away from the hustle and bustle of IT, he loves spending time with his wife Sarah and two daughters Apphia and Atarah. Sacha is responsible for all matters Financial, Operational and HR. With dealership experience at Godfrey Hall BMW, Sytner BMW, Wood BMW and as a Kerridge trainer for BMW GB, Sacha has an in depth knowledge of how a dealership runs, both behind the scenes and on the ‘shop floor’ where a polished customer experience is vital for retailers. Sacha has a vast knowledge of everything ‘Coopers’, whether it be our people, our customers or our products, and has made a significant contribution to strategy implementation within the business. When she isn’t heading up the operational side of the business, Sacha loves spending time with her son Archie, and whilst he is her greatest achievement, she is also enormously proud of having trekked across the Sahara desert for ten days to raise funds for charity, an experience she will never forget. In addition to the wealth of experience Rahul brings to his managerial role, he never fails to bring his smiling face, calm, composed self and steely determination to get through the sprint, bug free, on time. He is well versed in product development from leading projects, analysis and management by working with the product heads and product management. He pioneered the project for Safeline charity to improve the internal efficiency using a bespoke digital product. He continues to help Safeline in the role of Product Manager for the further development of the product. Mark or MEF as he is better known also lives in the States. He is a relative newcomer to the automotive industry, but has been a key contributor to software development projects in finance and public safety for over 30 years. 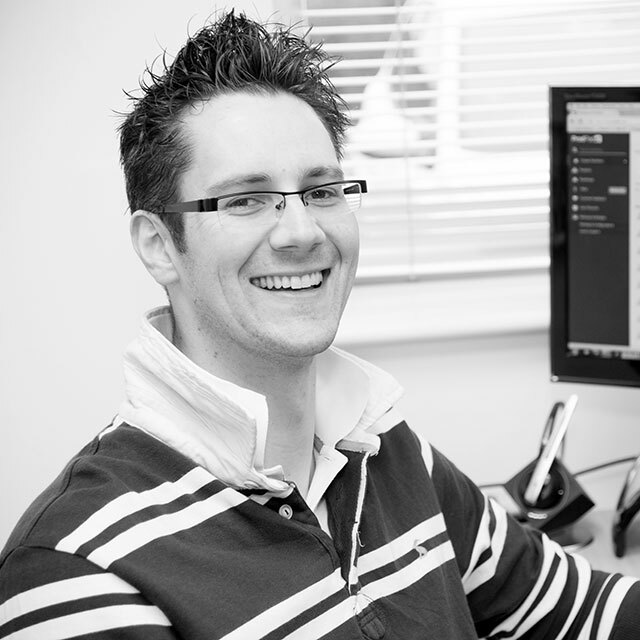 As a senior developer, he works tirelessly around the clock in conjunction with our UK-based development team. Outside business hours, he’s a singer in a retro-rock band, and in his spare time likes to play disc golf. Suzie is often on the road visiting our customers, training managers and staff on how to get the most from our products. As resident coach and mentor to our Account Managers, Suzie enhances their product knowledge and skills. Suzie brings her previous dealer experience into her role providing a consultative approach to customers helping them improve profit within their business. Her hospitality skills have proved particularly invaluable in organising her impending nuptials. In fact, she claims her greatest achievement is getting her husband to propose, and her loves include her twin nieces and twin niece and nephew. With a proven track record in sales and business development, Laurie joined Cooper Solutions as FullAuction Broker. 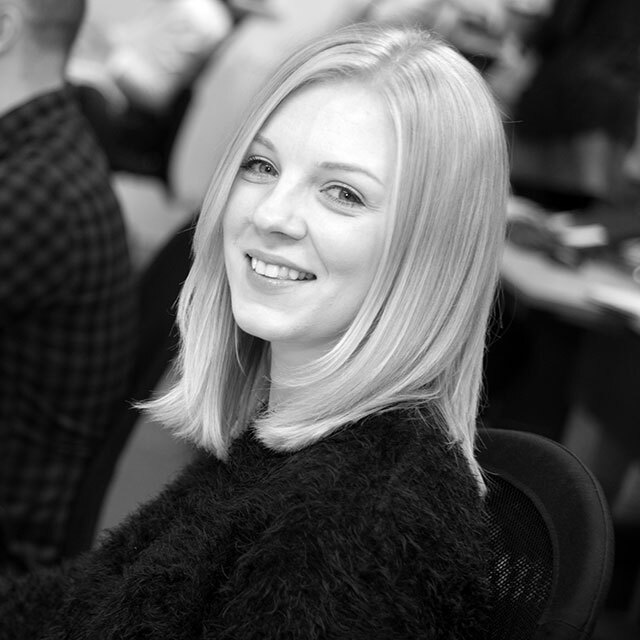 Now an Internal Account Manager, she supports the Account Management team, and co-ordinates her work with efficiency. With a reputation for excellent customer service, she has built strong relationships with our users who value her honest approach. 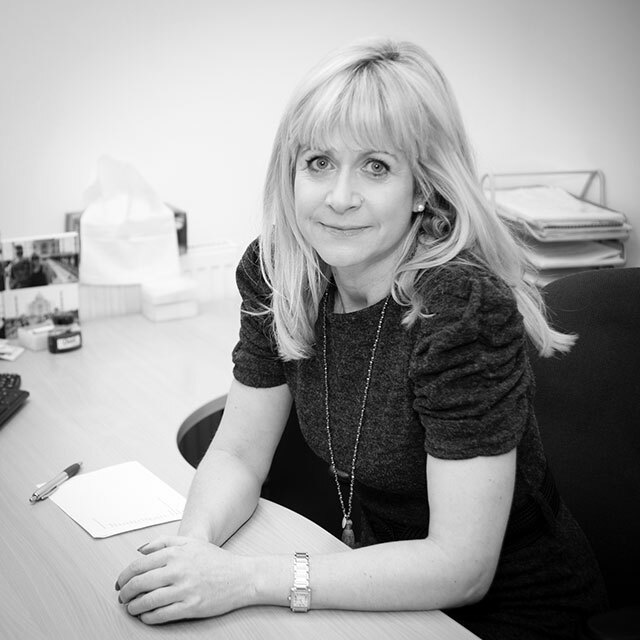 Away from the hustle and bustle of Cooper Solutions, Laurie loves keeping fit, eating healthily, spending time with her family and planning her next fabulous holiday. 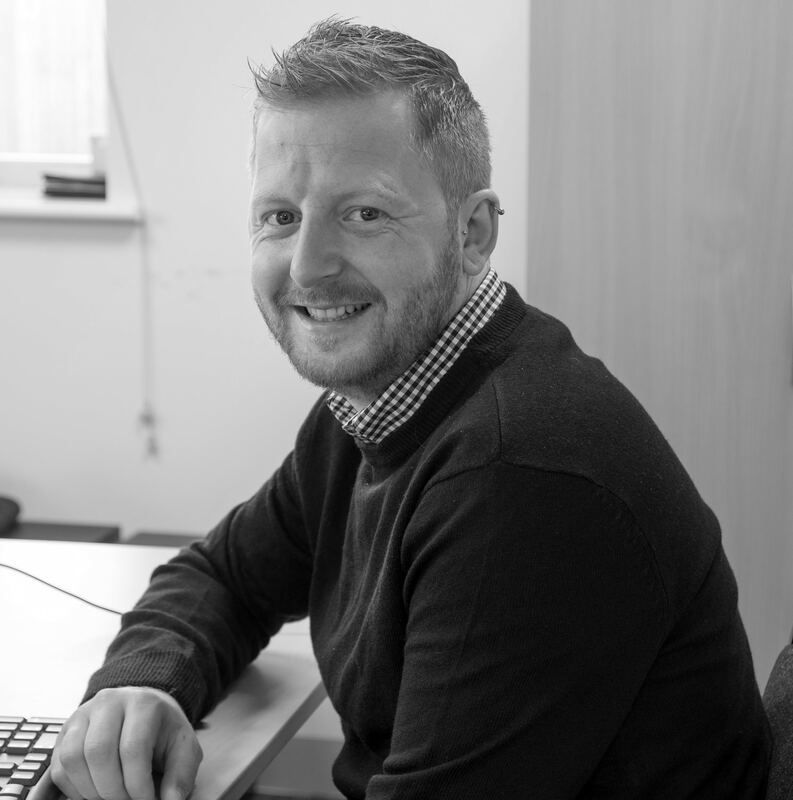 Renowned and respected in the automotive industry, we were delighted when Chris joined the team. With 30 years experience in the dealership environment including BMW, Bentley and Ford. Chris has a fantastic insight into the demands of running a dealership – from its customers, to its staff, shareholders and suppliers. This means he is best placed to support our customers in the use of our solutions and how these can benefit the business in terms of improving budgeting, financial performance and reporting. His extensive knowledge and unruffled nature means we call on him for support in all areas, whether it be product-related, for marketing assistance, or just to generally ‘pick his brains’. To escape from the hustle and bustle of Cooper Solutions, Chris loves visiting his beautiful home in Greece or in complete contrast skiing in Vail – of which we are all very envious. 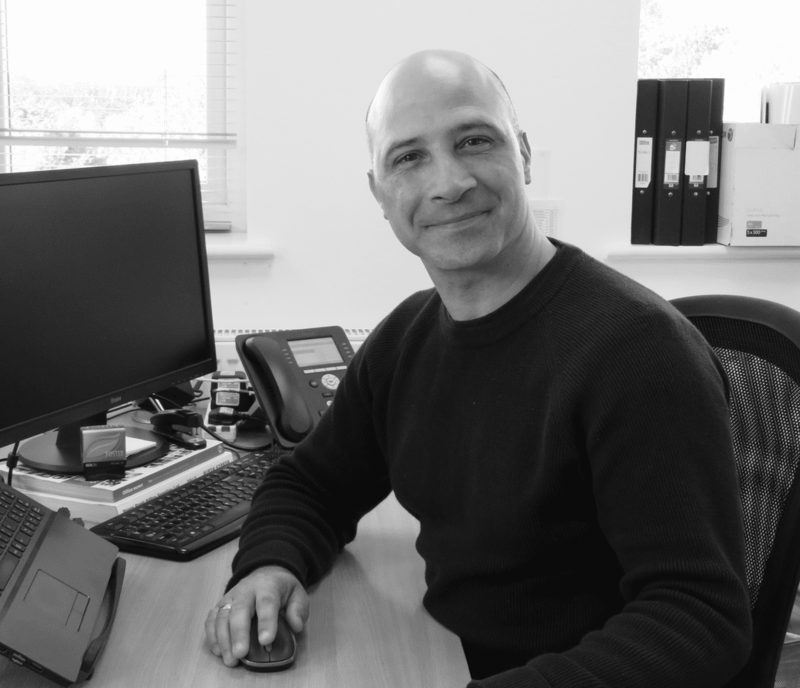 With 20 years’ experience in the automotive dealership environment including BMW, Renault and Audi, Gabriel has a fantastic insight into the demands of running a dealership. He is a BMW/Mini Business Manager of the Year allowing him the experience and knowledge to support our customers in the use of our solutions and how these can benefit the business in terms of process management, financial performance and reporting. In his spare time, Gabriel sings and plays music, as well as enjoying time with his 3 children. Jordan honed his eye for detail as Group Inventory Analyst for Vauxhall Motors. Joining the team as an Account Manager, Jordan worked closely with our customers to improve their processes, and develop and manage KPI performance. Being an excellent support to customers and to his colleagues alike, and with his skills at implementing the sales process, Jordan progressed to his role as Product Specialist. He knows the value of real time and accurate reporting, and FullControl and FullForecast are his forte. When he’s not helping businesses implement and optimise our systems, he’s a Park Runner and his major love is his adorable puppy Poppy. After graduating from Leeds Metropolitan University, Vicki worked for John Lewis. Vicki is a great ambassador for Cooper Solutions. 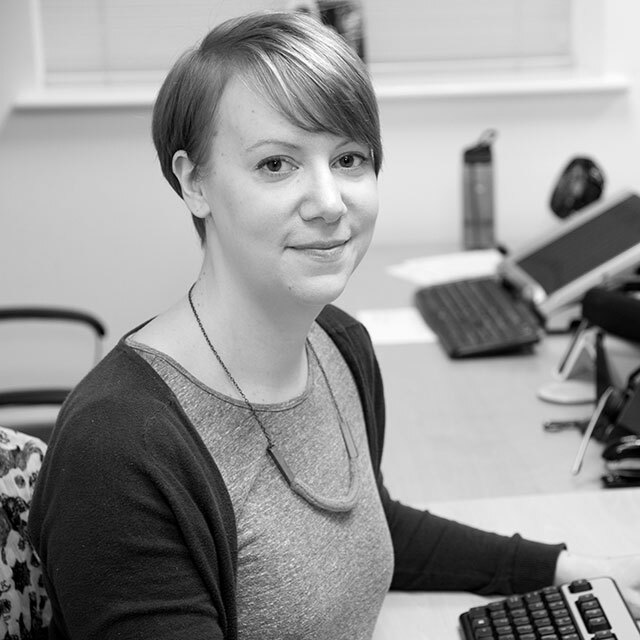 She provides operational support to our national client base – you’ve probably spoken to her when calling us. Known for her excellent customer service and sunny nature, she is key in customer retention and building new relationships. Providing support to the Account Management Team with her extensive product knowledge makes her absolutely indispensable. Away from the office, she loves keeping fit and adding more stripes to her nautical wardrobe. 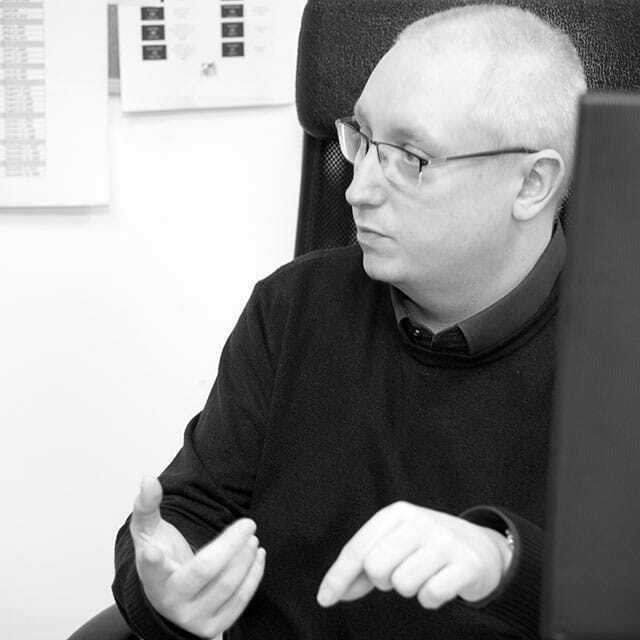 With 20 years’ experience at PSA Peugeot Citroen and most recently with us at Cooper Solutions, Keith is a font of knowledge on all things automotive. With a keen eye for detail, he is our data expert for FullControl and FullForecast. When not supporting our customers on how best to utilise our systems to benefit their businesses, he is always happy to assist his colleagues with any product related queries. And some that aren’t product related as unofficial IT support for the team on the first floor of the office. With a love of Star Wars and sci-fi, his big passion is Aston Villa. 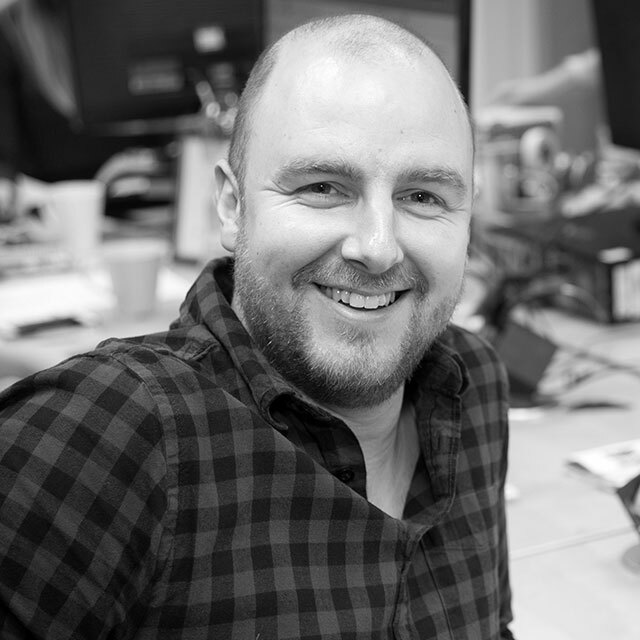 An IT magician, Tommy has the ability to take complex problems and form solutions which delight the development team and ultimately the end user. 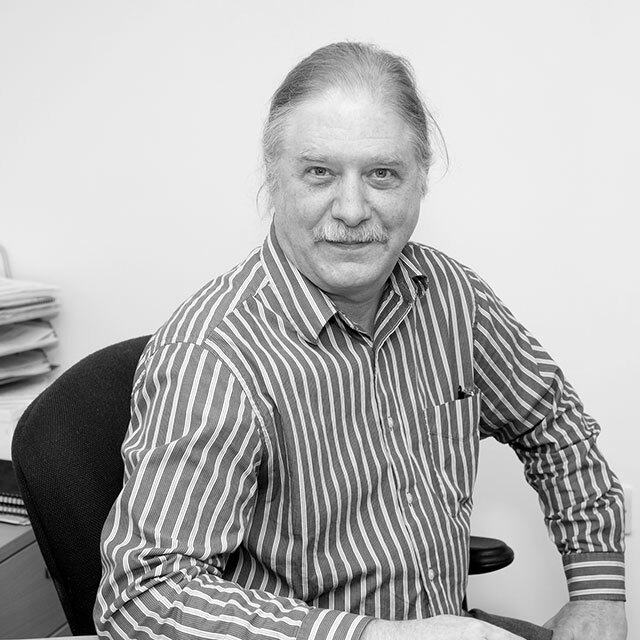 He is the brains behind the design, installation, testing and maintenance of our software systems. Hurricane Tommy, as we call him, cooks up a storm in the kitchen at home, testing out his new recipes. 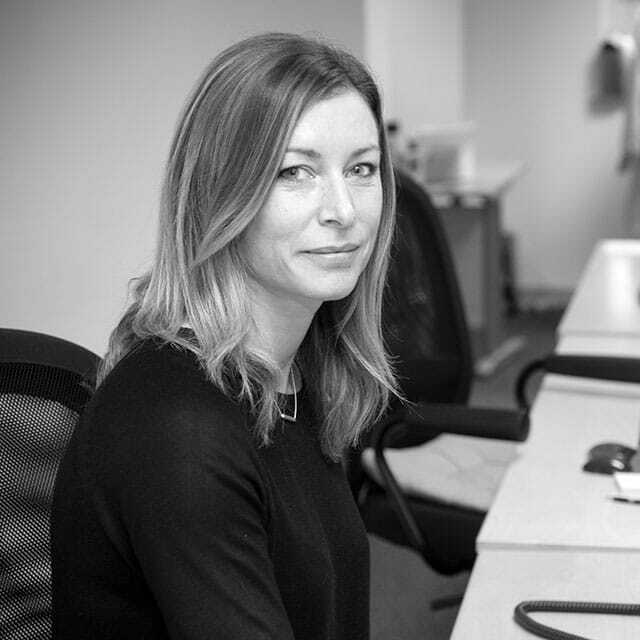 With her experience in Events, Louise’s enviable diligence and organisational skills meant she progressed quickly from her role as Account Executive to Account Manager. Louise is excellent at building and maintaining relationships, making her popular with our customers. She has made a significant contribution to the business in renewing group contracts, training teams and making presentations on behalf of the business at Group conferences. 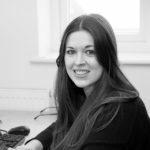 Her extensive knowledge of our FullCover and FullCompliance products makes her ideally placed to train and support her colleagues. Now masterminding her wedding, Louise is using her planning skills to arrange the most perfect day. If you’ve telephoned us, you’ve probably spoken to Dan. 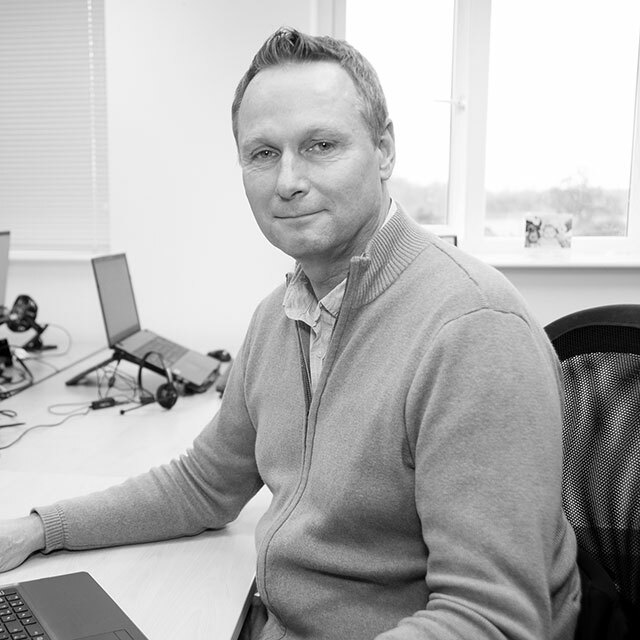 With 15 years’ experience in customer facing roles, he is committed to provide excellent support to our users. His strong background in selling and negotiation made him the best person for the role, and he is popular with our customers for his energy and enthusiasm. 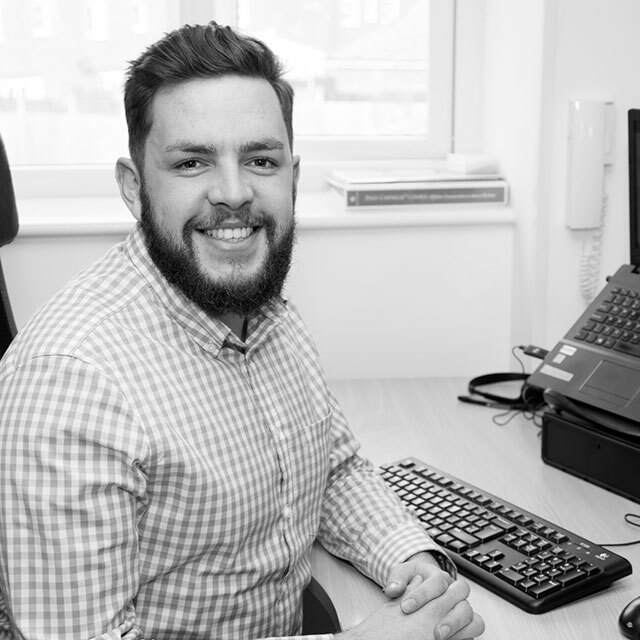 Having in depth knowledge of our products and how they benefit our customers means he can provide first class support to the Account Management team. When he isn’t brightening up our days in the office, this cheery chap is devoted to his two young boys Rueben and Emerson. Having worked in customer facing roles previously, Michael continues to provide great service and support to the users of our systems. Over the years, he has built a fantastic rapport with our FullAuction customers who speak to him regularly. Whether he is assisting in transactions of trade vehicles, approving new buyers, or dealing with queries, Michael remains totally committed to his customers. As an Account Manager, he is often on the road supporting new users and ensuring our existing customers are making the best use of the platform to maximise their own efficiencies. A huge fan of Coventry Blaze, Michael regularly attends games and has developed an excellent relationship with the team through our company sponsorship. Helen has full control over FullControl. 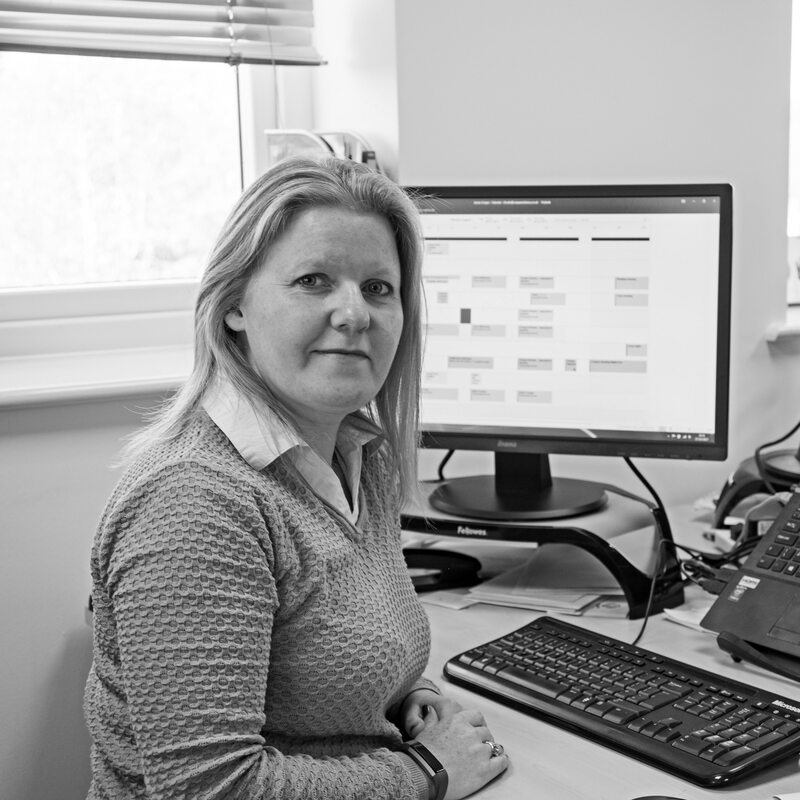 Having worked in administrative roles previously, our customers benefit from her technical support for the FullForecast and Control products, and in the office, we benefit from her organisational support. Her experience across all departments is vital and she is able to offer great support in dealing with any issues our clients have. There’s never a quiet moment for Helen away for the office, as she is mummy to two gorgeous little boys. 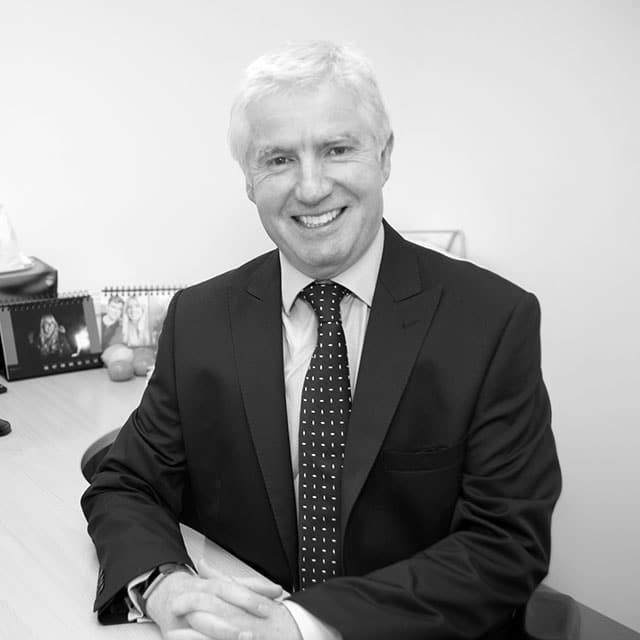 Dan has many years’ experience in the automotive industry with businesses such as Sandicliffe, Pendragon, Drive Assist, Pentagon and Hartwell Ford. As Account Manager, he is well placed to provide our customers with insights into their businesses and how our products can benefit them by improving efficiencies. He knows that the customer experience is vital, whether he’s dealing with our customers directly or explaining how our solutions will benefit the consumer visiting the showroom. Whether he’s out on the road visiting customers or winning new business, or in the office with his colleagues, everyone is pleased to work alongside him with his friendly and professional attitude. His hobby is trainer trading, where he buys and sells special edition trainers – he’s definitely a ‘Sole’ Trader. With previous experience in customer service roles at Rybrook and Trust Group, Thereze has a great insight into the expectations customers have when they visit a dealership. She has brought this knowledge with her to Cooper Solutions where she provides superb support to our users. Unflappable, nothing is too much trouble for her, which makes her a delight to deal with – for our customers and her colleagues alike. 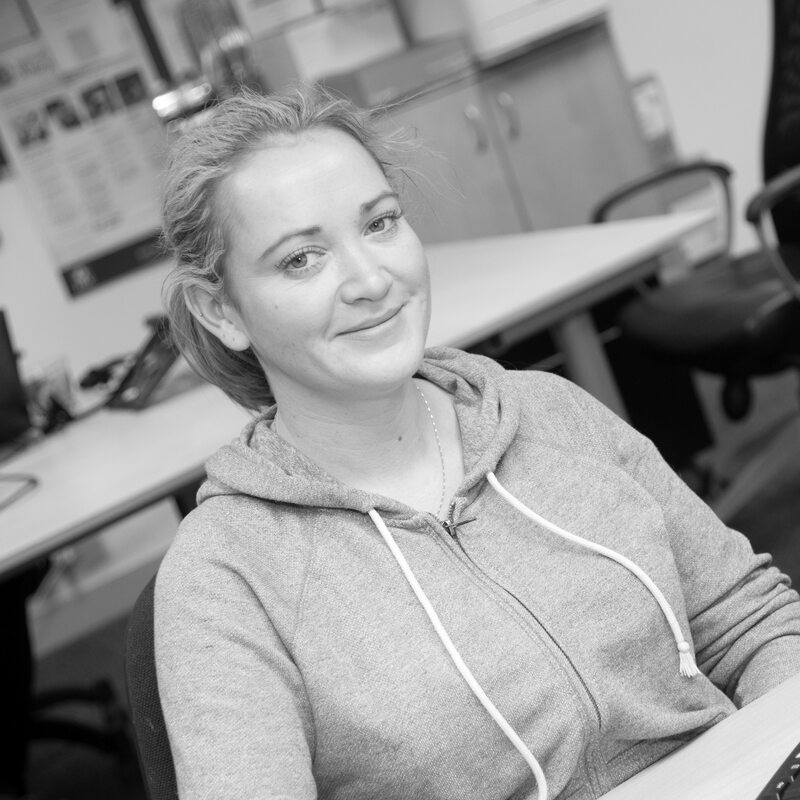 Not only does she assist the Account Management team, who value her product knowledge and the super efficient manner in which she deals with customer queries, she provides remote training for our users to ensure they are following best practise and using our systems to fully maximise efficiencies within their businesses. Away from the office and the phones, Thereze adores being with her family and her lovely man Steve. With a smile that lights up the office, Reshmi is our resident bug hunter. 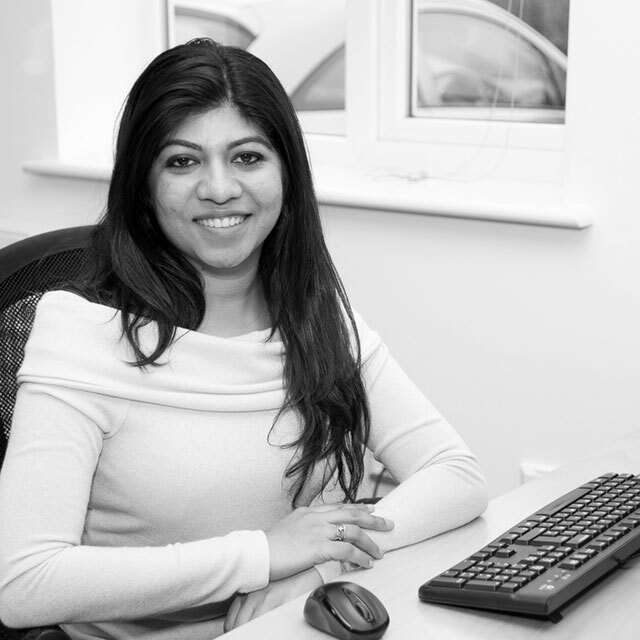 With extensive experience in the Software Engineering industry, including five years with Accenture, we rely on Reshmi to complete testing of our software, as well as quality and system analysis. Not just a specialist in IT, her strengths lie in her excellent communication with customers and colleagues, and always remaining calm and collected even in the most ‘testing’ of situations. A keen traveller, Reshmi loves to see the world exploring new places and different foods. Luckily for us, she always returns to Cooper Solutions. 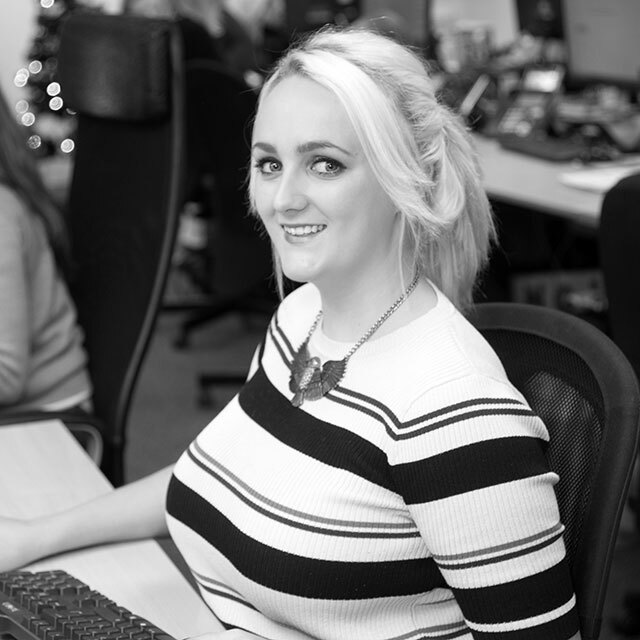 Beth began her career as Sales Administrator with our FullAuction team, quickly progressing to Auction Broker. Popular with customers for her no-nonsense approach, she dealt with uncollected cars and general issues with ease. Previously, Beth was a clinical assistant at an equestrian veterinary practice. She is definitely a nurturing person, popular with her colleagues and incredibly hardworking. 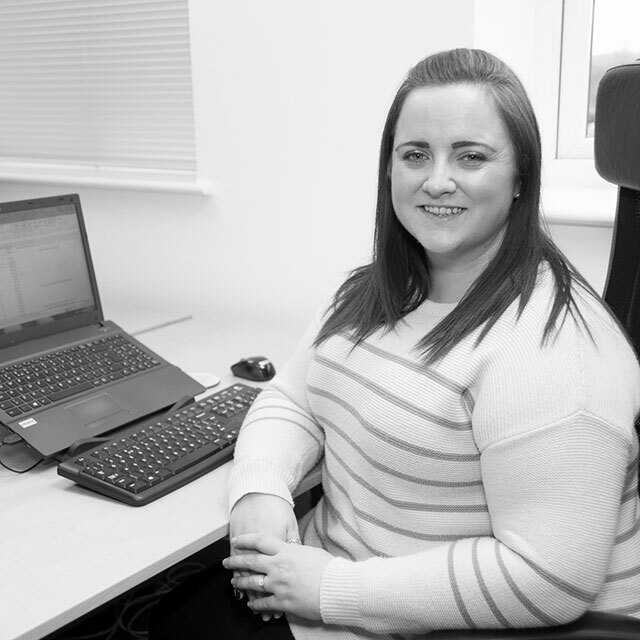 Now an Account Manager, Beth is frequently on the road nurturing our customers and winning new business. She’s a winner out of the office too, often participating in eventing with her beautiful horse. This former Chemistry teacher has brought a multitude of skills to the mix of Cooper Solutions. Ian progressed quickly from his role as Account Executive to Account Manager being a fast learner, and building excellent relationships with our customers. 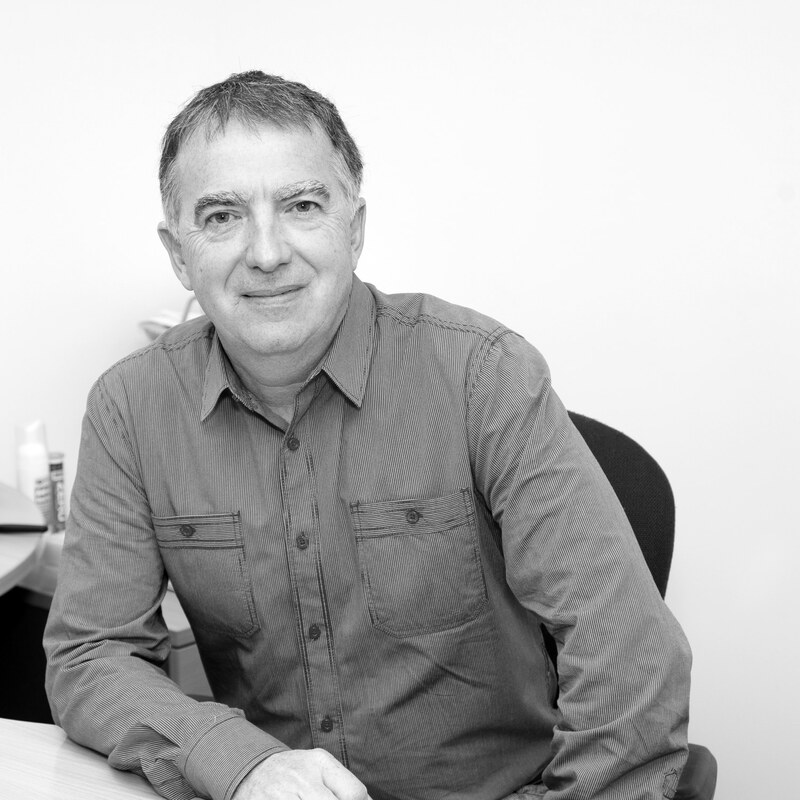 Still a fantastic teacher, Ian trains and provides support to our customers and to his colleagues and has made a significant contribution to winning new business and renewing contracts. 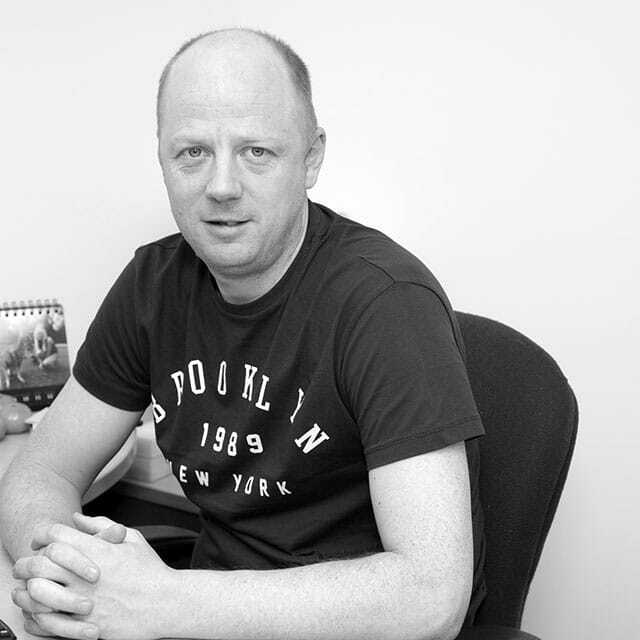 Ian has demonstrated his artistic flair in producing and editing customer videos. When he’s not reporting back to customers on how they can streamline their processes, and improve profitability, Ian spends a great deal of time trying to prevent his dog Gizmo from chewing his trainers. 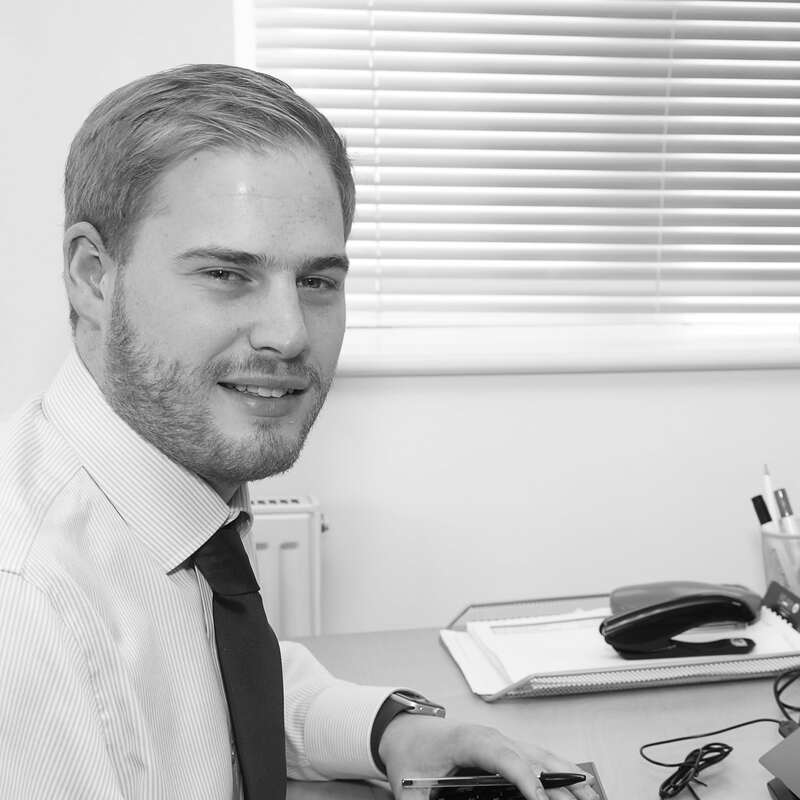 Harry joined us as a Broker for FullAuction which makes him a busy bee supporting our customers to ensure they make the best margins when using the site. 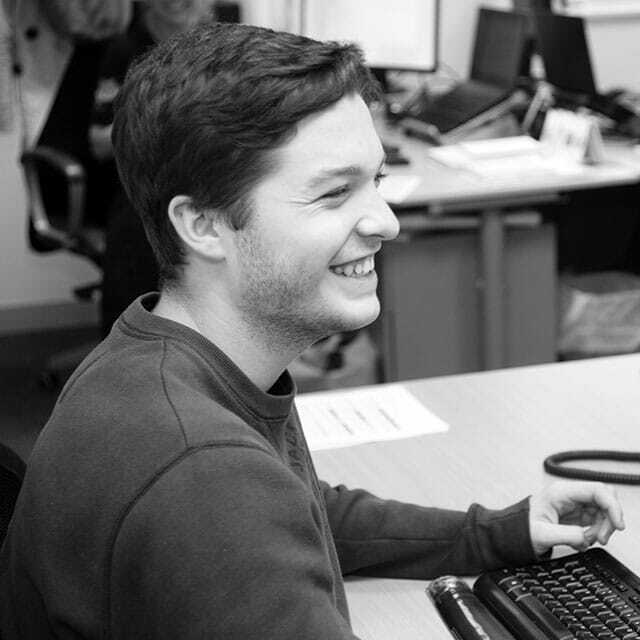 He’s a whizz kid on the phones, and lights up the office with his big smile. Away from the fast-paced action of FullAuction, he’s equally as quick on the football pitch. With a degree in Computer Science, and almost 10 years’ experience in the world of IT, Ashley is our Go To man for all things tech. He keeps the Cooper Solutions cogs turning by making sure nothing goes wrong. Having the patience of a saint, he answers all our queries, and deals with our never ending requests with a smile. When he isn’t protecting us from viruses, and responding to yet another question, he delights us with pictures of lovely Daisy Dog. 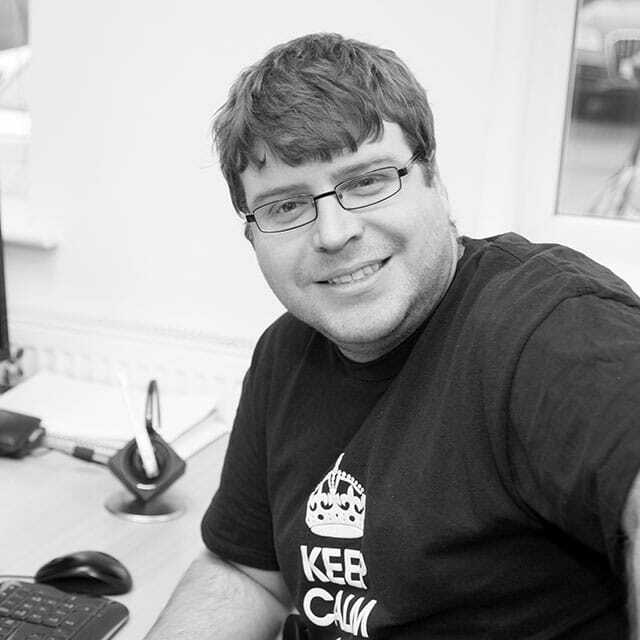 With 14 years’ experience at Click OK, John joined us to look after front-line primary technical support for all our hardware and software issues. He really can fix anything, but when our IT doctor isn’t diagnosing and solving any faults, he loves spending gadget-free time with his wife and three children, enjoying outdoor life. 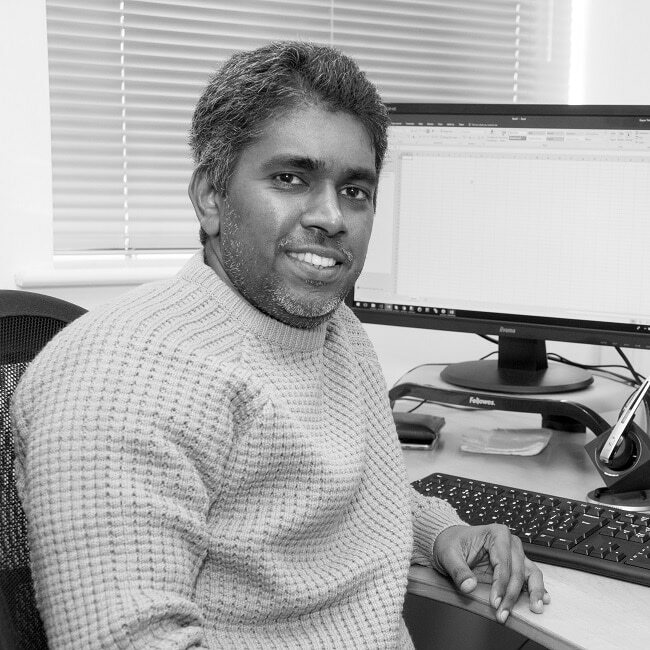 Gayan brings 10 years’ worth of experience in software development projects to Cooper Solutions. 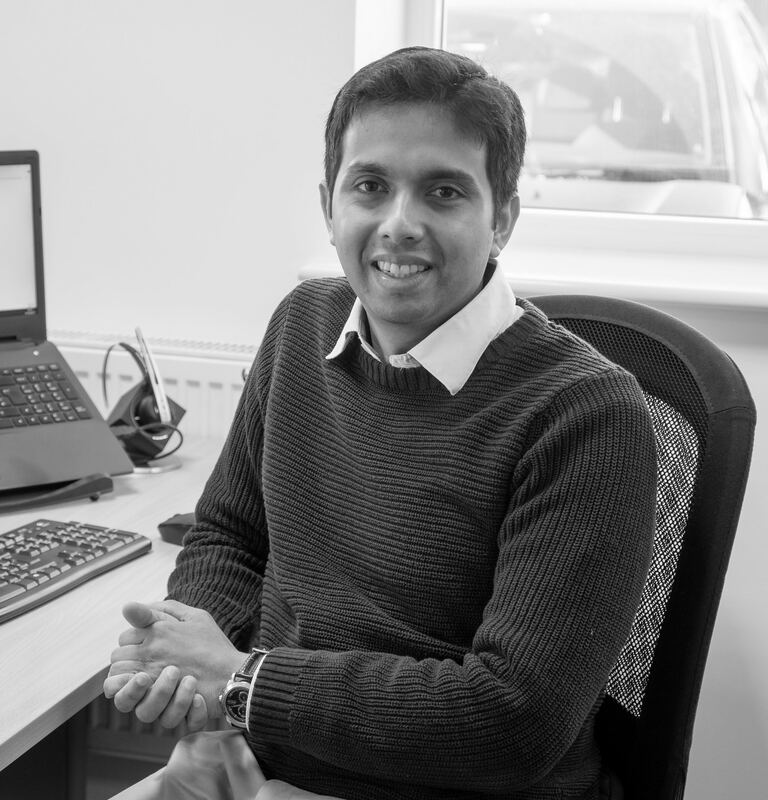 His expertise in complicated technical issues, whether analysing and designing tasks or writing tricky code, helps ensure the business remains one step ahead in providing an excellent service for our customers. When he’s not busy looking after the technical side of the business, he loves to spend time with his daughter and to hone his photography skills. 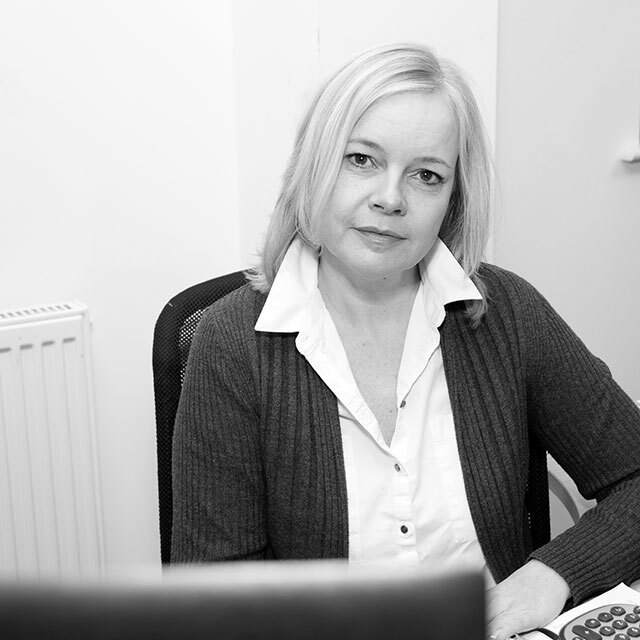 Kate joined us after 14 years of marketing for a West Midlands law firm. Working alongside the company’s designers, PR agency and Senior Management team, she ensures that the Cooper Solutions’ message is communicated effectively. Known as Shakey, she loves being with her mini-me Izzy, and has an expensive addiction to shoes. Nikki supports all customer accounts. 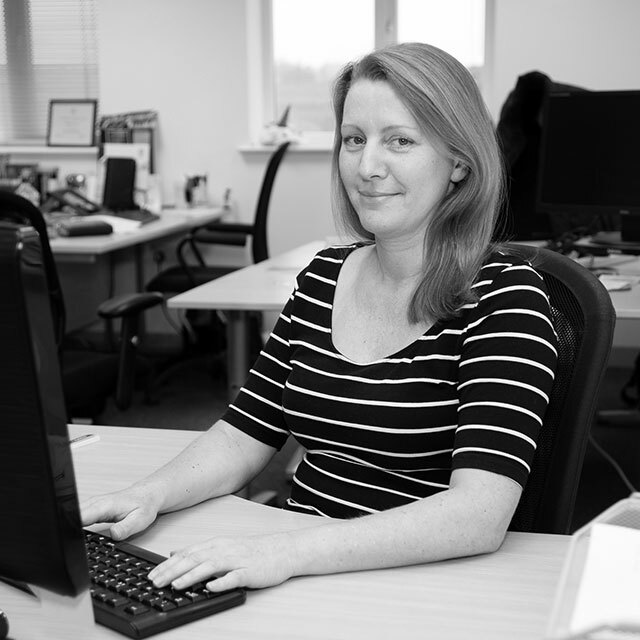 With an eye for detail and immense patience, Nikki can sort out even the most tangled invoices. With 15 years’ experience in a customer-facing role at Sytner Solihull, she knows exactly what demands retailers face and remains composed whatever the situation. Having travelled the world and lived in Australia, we are pleased she’s back for good (we hope) as her cheery personality is a delight as she bustles about the office. When she’s not analysing accounts packages, she loves spending time with her beautiful daughter Bella. As Office Administrator, Lorraine works in day to day operations to help promote a healthy work environment in and around the office. Lorraine joins the team after spending 13 years in leading a market research Customer Support team, and later a HR role in graduate recruitment. She is also NEBOSH Health and Safety trained and has recently completed her First Aid training! Lorraine enjoys walking her sprocker Tilly and soft furnishings!